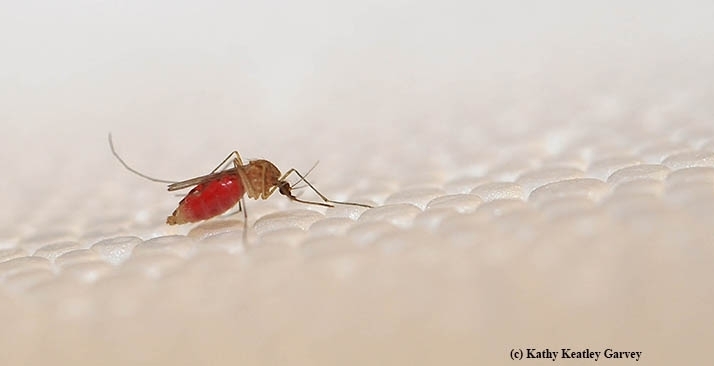 "Vector-borne diseases remain a key threat to human health, wildlife, and plants, in part, due to the multitude of factors that influence their transmission," says biologist A. Marm Kilpatrick, assistant professor in the Department of Ecology and Evolutionary Biology, UC Santa Cruz. What does climate have to do with it? And other factors? Kilpatrick will present a seminar, hosted by the UC Davis Department of Entomology and Nematology, on "Climate, Chemicals and Evolution in the Transmission of Vector-Borne Diseases" at 4:10 p.m., Wednesday, Feb. 7 in 122 Briggs Hall. "I will integrate findings from multiple systems, including West Nile, Zika and dengue viruses, and mosquito communities more generally, to explore the role of climate, insecticides, host-pathogen interactions, and evolution in driving spatio-temporal patterns of transmission, and the impact of vector borne diseases on their hosts," he says. Kilpatrick says "the globalization of trade and travel will continue to move viruses, vectors and hosts to new continents and result in the emergence of vector borne diseases, as exemplified by Zika, Chikungunya and West Nile viruses. A sound understanding of the ecology and evolution of these systems is needed to address this challenge." Kilpatrick received two bachelor's degree from UCLA (one in mechanical engineering and the other in philosophy), a master's degree in mechanical engineering from Massachusetts Institute of Technology, and a doctorate in zoology from the University of Wisconsin, Madison. He joined the UC Santa Cruz faculty in 2008 after working as a senior research scientist in the Consortium for Conservation Medicine in New York. The spread of pathogens to new regions. He focuses much of his current work in disease ecology on West Nile virus, "a mosquito-transmitted pathogen that currently causes thousands of human cases each year, as well as affecting millions of animals. However, I also work on several other pathogen systems including chytridiomycosis, Lyme disease, Brucellosis, and avian influenza." 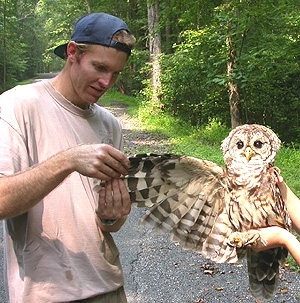 The American Ornithologists' Union awarded him the Ned K. Johnson Young Investigator Award in 2008. The award recognizes outstanding and promising work by researchers early in their career. "Kilpatrick's research on avian influenza ("bird flu") has led to predictions about the global spread of the virulent H5N1 strain of the virus," according to a UC Santa Cruz news story. "His research on West Nile virus includes a recent study on the effects of higher temperatures on transmission of the virus by mosquitoes. He has also shown a connection between increases in human infections and dispersal of American robins, the preferred host of a mosquito species that is an important vector of West Nile virus." The Kilpatrick seminar is part of the winter quarter schedule of seminars coordinated by assistant professor Rachel Vannette; Extension apiculturist Elina Lastro Niño and Brendon Boudinot.